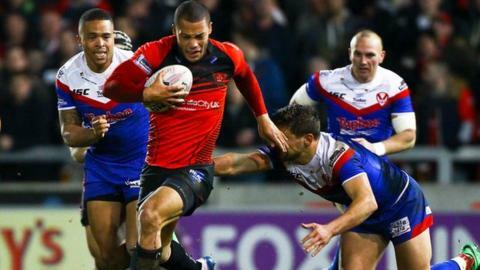 Bradford Bulls have signed Salford Red Devils winger Danny Williams on a two-year deal. The 27-year-old is currently on loan at the Odsal club and has scored two tries in six games. He told the club website: "This is a club with big ambitions for the future and I want to be a part of what is eventually achieved here." Meanwhile, winger Jamie Foster will be leaving Championship-bound Bradford at the end of the season.